Awesome service! Quick wait time. Both the doc and assistant explained everything thoroughly. The office is beautiful& rooms super clean. This will be my go to office from now on. Awesome service! Quick wait time. Both the doc and assistant explained everything thoroughly. The office is beautiful & rooms super clean. This will be my go to office from now on. Very professional, friendly, knowledgeable and straight to the point. Did not recommend services I did not require basedon my initial accesment. Suppprt Staff...also fantastic!!! Very professional, friendly, knowledgeable and straight to the point. Did not recommend services I did not require based on my initial accesment. Suppprt Staff...also fantastic!!! Practicing at Southwest Orlando Eye Care, Dr. Benjamin Konynenbelt serves the community of Orlando, FL. He is a concerned optometrist, who attended Indiana University, where he received his doctorate in optometry. 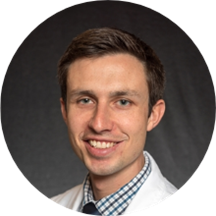 Dr. Konynenbelt chose to do a residency in pediatrics and vision therapy at the Southern College of Optometry. Patients see him for a host of reasons, including allergic eye problems, diabetic retinopathy, eye trauma/removal of foreign bodies/corneal abrasion, macular degeneration, and styes/hordeolum. Dr. Konynenbelt takes a genuine interest in updating himself on various new advancements in his field so that his patients get the best and the most advanced treatment possible. He believes that knowledge empowers patients to make better decisions regarding their own care. The overall visit was great, everyone was very helpful and polite. Dr. Benjamin Konynenbelt was very informative. I highly recommend this office for your vision needs. Dr. Konynenbelt was super friendly and very nice. The entire office staff was as well. Definitely going to be going back for my next eye exam. The office is equipped with the latest eye testing equipment and my exam went quickly. My visit was excellent. I went in and the doctor treated me in a professional manner. He listened to what I had to say and was understanding. He made recommendations that best fit my needs. I know that in the future my vision health will be in good hands.